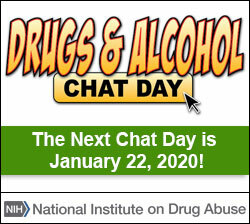 Just like with any other disease; drug abuse can be devastating. Sometimes bringing in someone who has survived the disease can help teach others to avoid starting. Host an assembly, and invite people in drug abuse recovery, doctors who see drug abuse in the ER, and law enforcement officials who work to stop drug abuse. This team of experts can help teach students about the harms of drug abuse. Also have a scientist on hand for any drug abuse questions at the end to help make sure that students understand both the health and legal consequences of drug abuse.